Each year hundreds of Iowans are injured while riding bicycles. Some are fortunate to escape with minor injuries while others lose their lives. While there are many trails for us to enjoy throughout Iowa, they are not all connected and they often cross roadways. 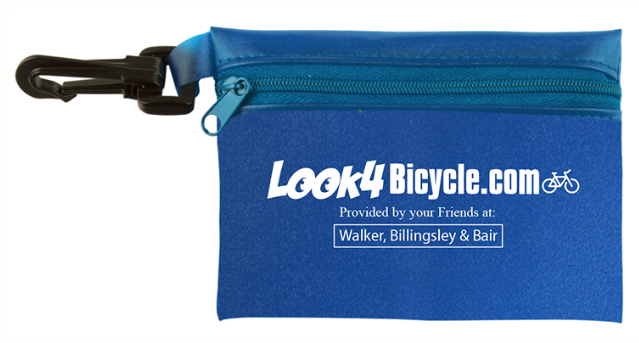 It is important for all of us to look for bicycles on the roadways to prevent a tragedy from happening. That is why our office is promoting bicycle awareness and safety with our first aid kit and bumper sticker campaign. Just fill out the information below and we will send you up to 5 first aid kits and 5 bumper stickers so you can give them to family and friends. We wish you and your family a safe and fun riding season. Did You Know That Your Car Insurance Provides You With Protection While Riding Your Bicycle? Yes, it is true. If the driver of another vehicle is at fault for hitting you while you are riding your bicycle or even walking, your own car insurance provides you with coverage as long as you have Uninsured(UM) and Underinsured(UIM) Motorist coverage. Did you know that under Iowa law drivers are only required to have $20,000 in insurance coverage for bodily injuries? What can you do to protect you and your family from irresponsible and uninsured drivers? If you have enough UM/UIM and a driver who has either no insurance or not enough insurance hurts you or your family, then your insurance company will pay for your damages up to the limits of insurance coverage you purchased. UM coverage is also very important because if you are the victim of a “hit and run” and the other driver is not caught, your UM coverage will provide you with protection. Okay, how much does it cost? A recent survey that we conducted of the leading insurance companies revealed that for most Iowa drivers the difference between $20,000 and $500,000 in coverage ranges from a low $.15 per day to a high of $.72 per day. Would you like to know which insurance company had the lowest rates and learn more about your car insurance coverage? To order your copy of “How to Buy Car Insurance to Protect You and Your Family” at No Cost simply provide us with your name, address and the number of copies you would like in case you want to share it with your family and friends. The book(s) will be sent to you right away. Our Guarantee- We are so confident that our book will help educate you that if you do not learn at least one thing, let us know and we will donate $1,000 to your charity of choice. Your information will remain confidential as we do not share or sell your information. What do other Iowans say about the book? “The Information Iowans Can Rely Upon to Protect Their Rights”- Aaron of Des Moines, Iowa. 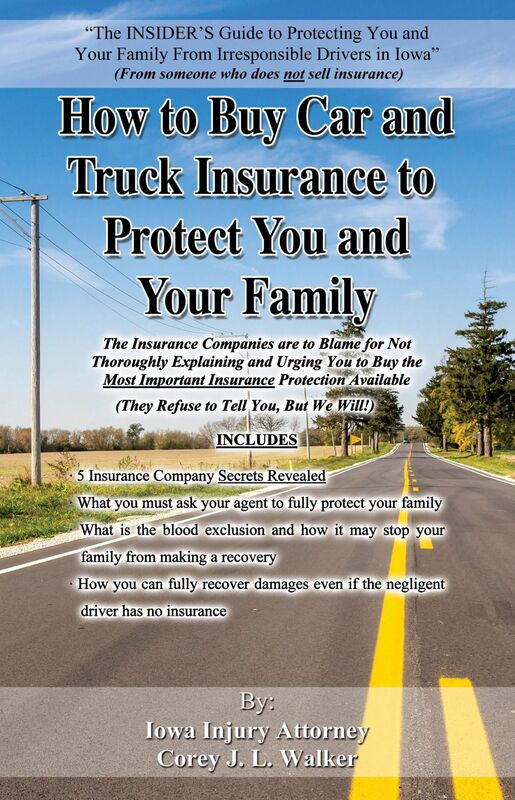 “Corey’s book provides what you need to know to protect yourself and your family.” Jeff of Newton.